Grey costume hat with feather. This traditional grey costume hat is the perfect accessory to wear to Oktoberfest, while it is also stylish enough to wear all year round. 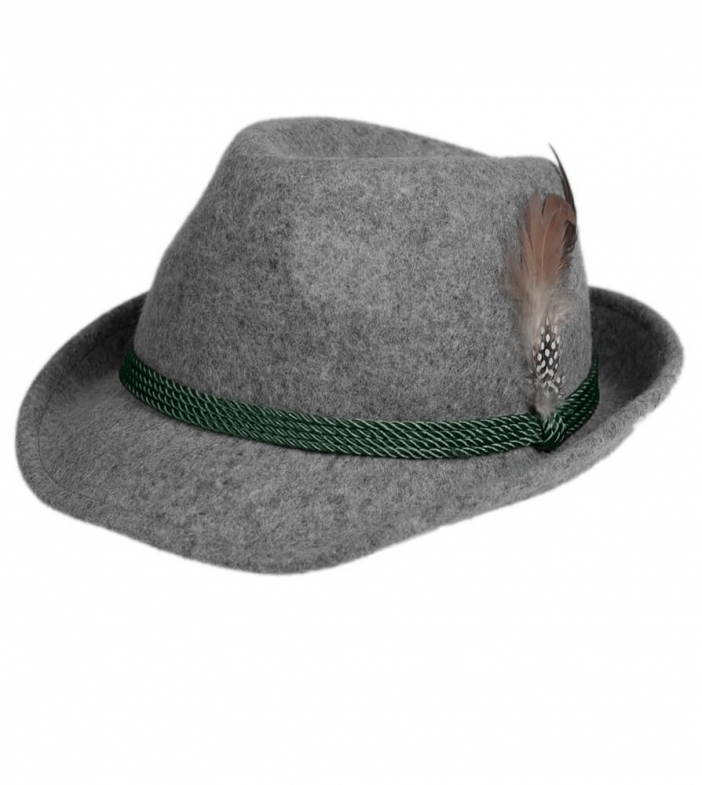 Created in the traditional Bavarian style from 100% wool, it will serve as the perfect finishing touch to a traditional Trachten outfit or business suit and is adorned with a grey feather in the hatband.